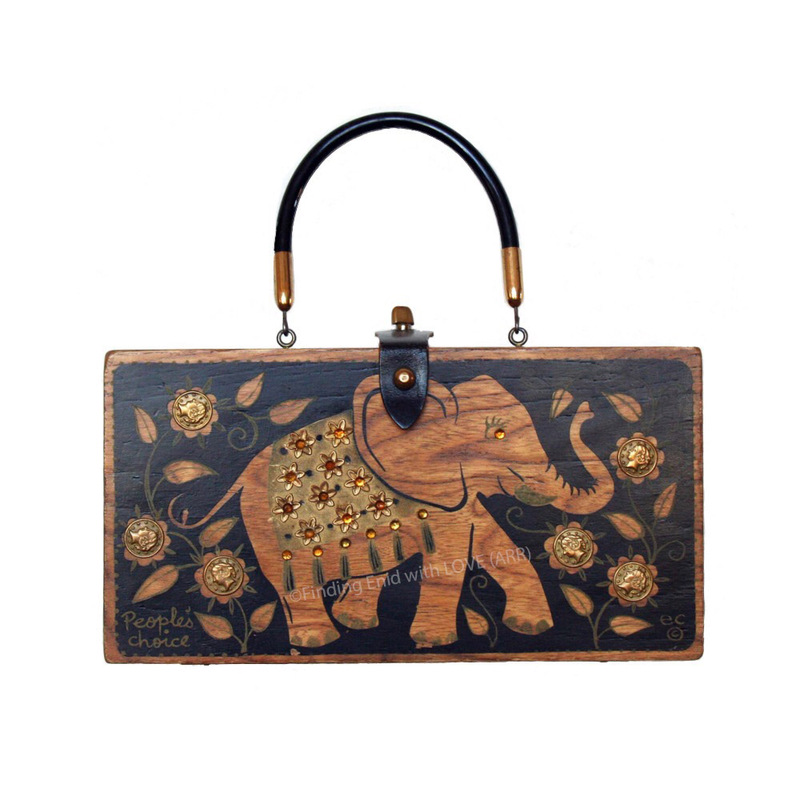 Box purse of warm-toned wood screen printed in gold and black, depicting an elephant surrounded by vine-like flowers with faux-coin centers. Elephant's saddle is decorated with metallic-gold floral embellishments with amber centers. Flowers are embellished with antiqued-style faux coins. "People's choice" serigraph in hand-script cursive style appears in the lower left corner.